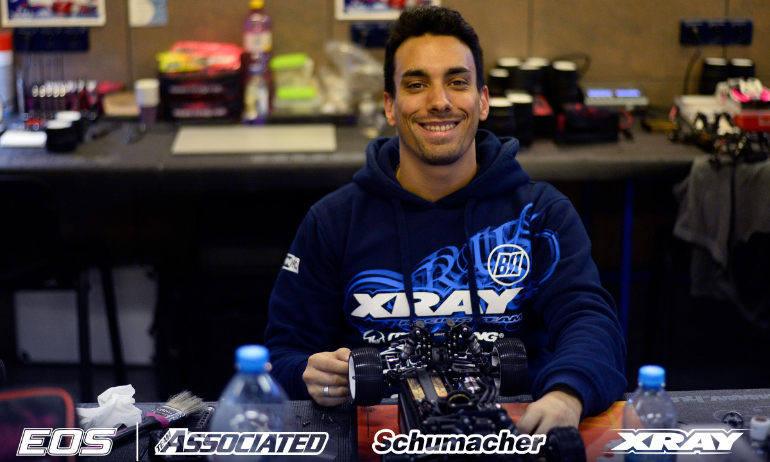 Bruno Coelho has set the pace in 4WD practice at the Euro Offroad Series in Slovakia this evening, the Xray driver putting in the fastest 3-consecutive laps from the day’s earlier 2WD victor Michal Orlowski. As in 2WD, the duo had a clear advantage over the rest of the field with Daniel Kobbevik best of the rest in P3 followed by 2WD podium finisher Lee Martin, Martin Bayer and Jörn Neumann. Running two rounds of free practice followed by the two seeding rounds, it was Orlowski who set the benchmark in CP1 but in CP2 Coelho was able to better that pace by 45/100ths of a second. The advantage over Kobbevik was more than a second, with 3rd through 7th covered by half a second. 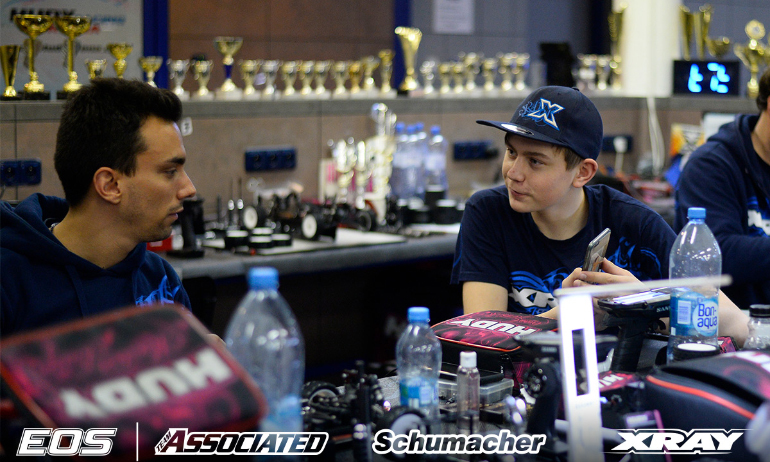 Summing up practice, with the first qualifier set to bring Day 2’s EOS action at the Hudy Arena to a close, Coelho said, ‘I’m feeling confident with the car and it is quite easy to drive’. 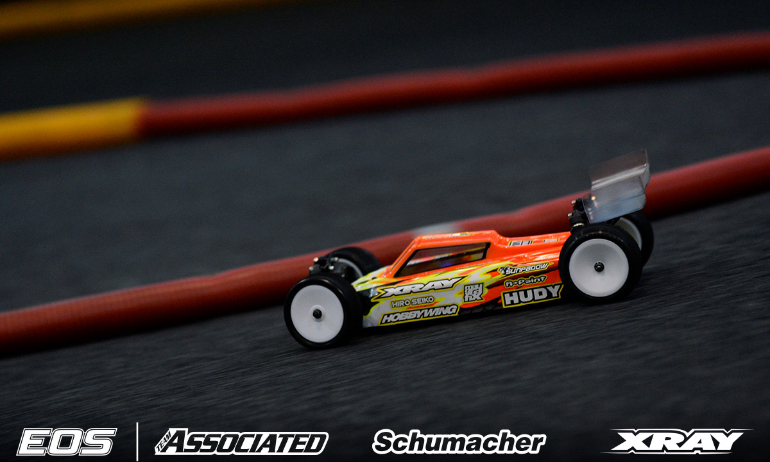 Winner at EOS Daun last month, his first win of the season, he continued, ‘on new tyres the car is very aggressive but on used tyres it is very good. I think I can run good times on 3rd run tyres. The last practice I was on second run tyres and I set my my second fastest lap on the final lap’. 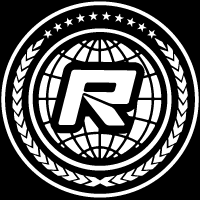 Having topped 2WD seeding but missed out on the TQ to Orlowski, he added, ‘It is super close with Orlowski again. We made many small changes each practice and at the end it worked out a big change to how we started but I am really happy with the car’. Asked how he felt practice had gone, Orlowski paused before answering, ‘Bruno is quick. I am quick. He is making mistakes. I am making mistake so it is going to be the one who doesn’t make as many mistake who is going to TQ. There is a big gap between me & third (place pace) so my aim for Q1 is to try and make no mistakes’. Asked about his car, the reigning champion & current points leader said, ‘We left the car the same as last weekend (when he raced the XRS race here in Slovakia) and then we tried a crazy set-up for the last practice but it didn’t work out. We will go back to the set-up from before and add one small change to that’. After a tough 2WD race, Kobbevik summed up 4WD practice as ‘better than 2WD’. 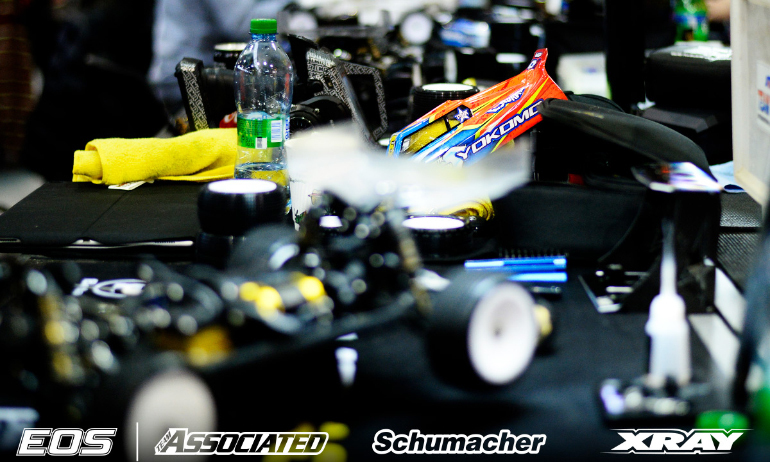 The young Norewgian said in the first practice his XB4 felt difficult to drive having the opposite issue to his 2WD in having a lot of steering. He also said he had to use the first practice to get back into the feel of driving 4WD again. Changing the front hubs on his car, the EOS Daun double podium finisher said this made the car ‘a lot smoother and easier to drive’ adding he is ‘happy with the car now and (he) just needs to get more used to it’. ‘Not too bad’ was Martin’s description of how he felt practice had gone. 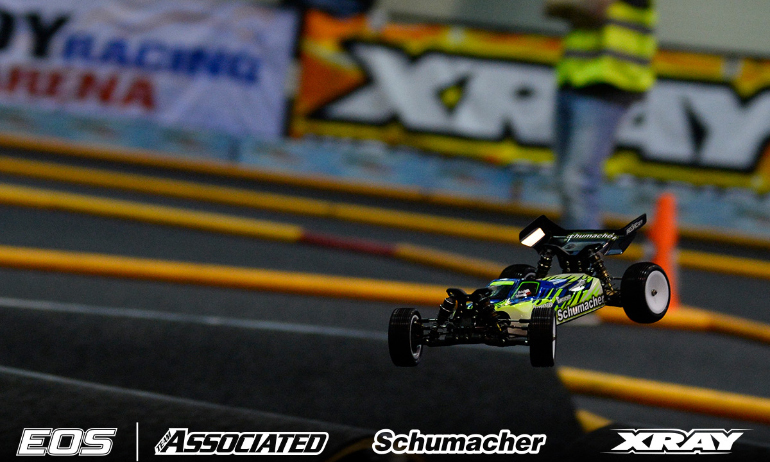 The Yokomo driver continued, ‘the steering is a little too inconsistent. Sometime I turn in and it does it and then the next time it doesn’t which makes it hard to judge’. He added, ‘the lap times are not too bad and not too far from Orlowski and Bruno, and that with a car I am not comfortable with yet’. Asked if he knew what changes he would make to try improving the steering feel for Q1 he replied, ‘I need to discuss it with Shin’.